Lauryl PEG-9 polydimethylsiloxyethyl dimethicone is a type of silicone polymer that is used in cosmetics and personal care products as a skin/hair conditioning agent and emulsifier. Lauryl PEG-9 polydimethylsiloxyethyl dimethicone is a type of branched silicone polymer. Silicones are synthetic polymers with a backbone composed of repeating units of siloxane (elemental silicon and oxygen), which is why silicones may also be referred to as polysiloxanes. Often, the terms “silicone” and “silicon” are mistakenly used interchangeably, when they are actually quite different. Silicon is the 14th element on the periodic table and the second most abundant element in the earth’s crust, after oxygen. In contrast, silicones are always synthetically produced. Lauryl PEG-9 polydimethylsiloxyethyl dimethicone is water soluble because multiple units of ethylene glycol are added to sites along the polymer chain. The oxygen atoms add polarity to the silicone and are readily available for association with water molecules. This process is called ethoxylation or polyethylene glycol (PEG)-modification. The number following PEG in the ingredient name (i.e. PEG-9) corresponds to the number of repeat units of ethylene glycol. The greater the number following the PEG designation, the “heavier” and more complex the molecule. Lauryl PEG-9 polydimethylsiloxyethyl dimethicone functions as an emulsifier in cosmetic formulations. Emulsifiers are used in formulations that contain both water and oil components. Mixing water and oil together creates a dispersion of oil droplets in water (and vice versa). However, these two phases can separate if the product is left to settle. To address this problem, an emulsifier can be added to the system to help the droplets remain dispersed. 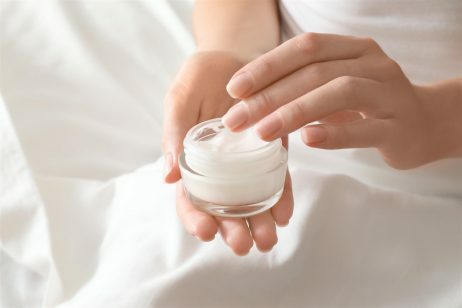 Emulsifiers improve the consistency of a product, which enables an even distribution of topical skin care benefits. Lauryl PEG-9 polydimethylsiloxyethyl dimethicone can be used as a water-in-silicone (w/si) or water-in-oil (w/o) emulsifier. It shows high solubility in silicone fluids and organic oils, and can be used to make products with unique characteristics in terms of emulsion viscosity and stability. The safety of lauryl PEG-9 polydimethylsiloxyethyl dimethicone has been assessed by the Cosmetic Ingredient Review (CIR) Expert Panel. Animal studies indicate that it is slightly irritating to rabbit skin at 100% concentration. However, it was not found to be a sensitizer. After evaluating the scientific data, the Panel concluded that lauryl PEG-9 polydimethylsiloxyethyl dimethicone was safe as a cosmetic ingredient in the present practices of use and concentration. 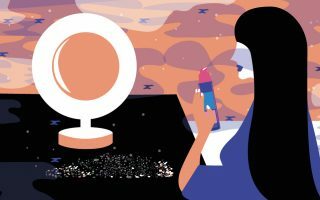 Even though lauryl PEG-9 polydimethylsiloxyethyl dimethicone and other silicones have been proven both safe and effective for cosmetic purposes, a multitude of rumors exist claiming they are unsafe for topical use. For instance, there are claims that silicones as a class can cause or worsen skin concerns, cause sensitization, and bioaccumulate. However, these claims have not been proven in any published research.